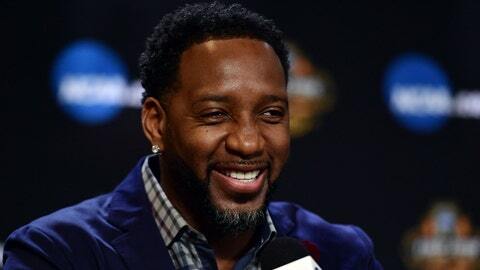 ORLANDO, Fla. (April 17, 2019) – FOX Sports Florida announced Orlando Magic legend Tracy McGrady will serve as a guest analyst during Friday’s Magic vs. Toronto Raptors NBA Playoffs Game 3 broadcast. McGrady, who previously joined FOX Sports Florida on-air last season when he was inducted into Orlando Magic Hall of Fame on March 20, 2018, will call the game alongside play-by-play announcer David Steele and color analyst Jeff Turner during the second quarter. Game 3 on Friday will feature an extended, hour-long pregame show as the Magic look to take a 2-1 series lead over Toronto. Magic fans can tune in starting at 6 p.m. for live coverage on FOX Sports Florida and FOX Sports GO.